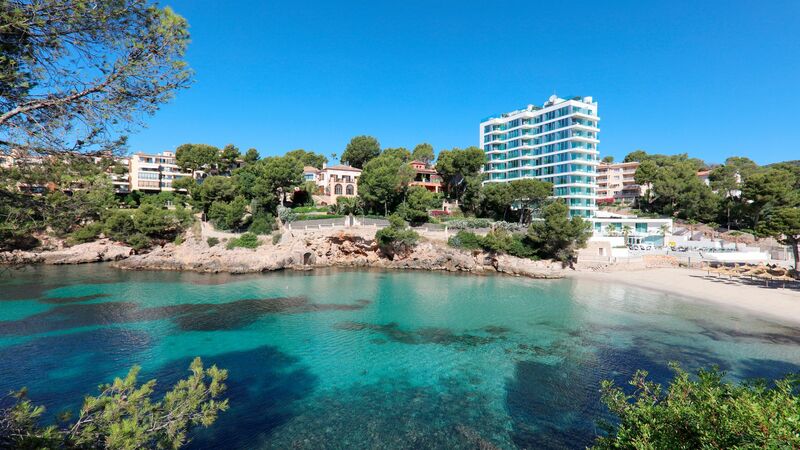 Located on Majorca’s south west coast, Portals Nous holidays offer golden sands, luxury yachts, and excellent restaurants. It’s just a 20-minute drive from the island’s capital, Palma, which is ideal for day trips. Head into Palma for some wonderful museums and historic buildings, a spectacular cathedral, and plenty of opportunities to pick up bargains at the many shops. Portals Nous is a little town with a wide range of options. It has pretty streets which date back to its time as a fishing village, as well as more modern areas of town which offer shops, restaurants, bars, and some of Majorca’s finest hotels. Families will love the soft sandy beaches, which are home to watersports and playgrounds for the little ones, and are backed by restaurants serving child friendly menus. For a sense of history, why not pick up a bargain or two at one of the traditional markets, or sample some of the delicious tapas by the sea? Portals Nous is home to Puerto Portals Marina where you can watch the luxury yachts and choose your favourites. Rub shoulders with the rich and famous as you overlook the harbour and enjoy cocktails and fine wines from the rooftop bars. There are also some fantastic restaurants to choose from here, whether you’re looking for Majorcan classics or world famous cuisine, perfect for those wanting to enjoy a relaxing luxury holiday in Portals Nous. At Sovereign we’ll add a taste of luxury to your holidays in Portals Nous. Each of our holidays offer private transfers and selected airport lounges as standard, and our Travel Advisers are seasoned experts who will help you find the ideal hotel. Stay at the Iberostar Grand Hotel Portals Nous for modern amenities and spectacular views, just minutes from a private sandy cove. Guests’ rooms feature chic interiors and the terrace bar is the ideal place to relax, with over 100 champagnes to choose from. Transfer time from Palma airport to Portals Nous is approximately 30 minutes.